Whether you accept mobile credit card payments or terminal credit card payments, card payments are the most common type of payment method (aside from cold, hard cash) around the world. 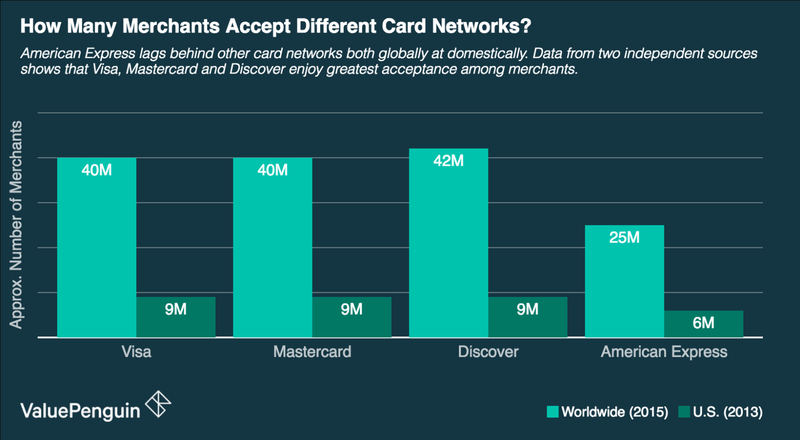 With numbers like these, it’s no wonder that credit card payments persist in 2019 and will likely dominate transactions for many more years, even with the rise of alternatives like PayPal and Square. What about mobile credit card processing? Credit card payments have changed drastically in the 21st century. Today, online credit card processing and mobile credit card processing (also called phone credit card processing by some) are taking up a big chunk of the global pie. In fact, most businesses that conduct any type of business online are expected to accept online and mobile credit card payments, regardless of whether customers will actually pay via credit card online. 10 percent of consumers indicated that they had loaded a credit card into a mobile wallet accessible or app on their phone in order to make purchases. 9 percent of all consumers had loaded up a debit card as well. While those percentages may not seem high, they have to be taken into context. This study was conducted back in 2017 with 1,000 people, and mobile credit card payments have only gone up since then. *Keep in mind that online rent and car payments transacted via credit card count towards this number. Will mobile credit card payments continue to increase? In a 2015 survey, the U.S. government found that 28 percent of smartphone users and 22 percent of all mobile phone users had made mobile payments in the previous year (2014). As you can see, these percentages have gone way up in the four years since. 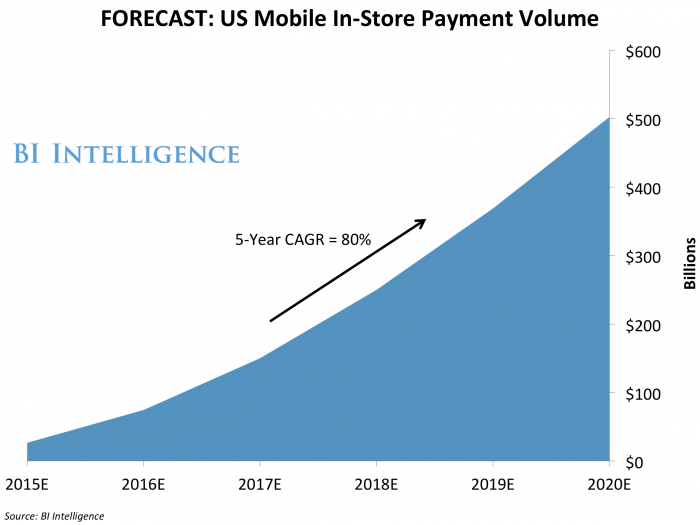 Additionally, the mobile payments industry is booming. Mobile payments hit $37 billion in 2015, and are expected to eclipse $808 billion by the end of 2019, according to Business Insider. Although it’s difficult to get exact numbers for the number of American consumers who paid for consumer goods via mobile credit card payments in 2018, it’s easy to guess that current trends will continue. With the popularity of well-known mobile credit card processing solutions like Square and ROAMPay, it’s safe to say that mobile credit card payments are on the rise, and will only continue to increase every year. In short, is your business expected to accept mobile credit card payments in 2019? Absolutely. But, surprisingly enough, a study by JP Morgan Chase found that, on average, only 36 percent of merchants currently accept digital wallet payments (56 percent of large businesses accept mobile wallets, while 25 percent of small businesses accept them). So if you accept mobile credit card processing, you’re ahead of 44–75% of your competitors. How many types of phone credit card processing are there? Despite what most business owners may think, phone credit card payments have actually been around in one form or another since the 1990s. They just didn’t take off until the 21st century. Mobile e-commerce: Also known as mCommerce. This is when you make online purchases using your phone and pay via credit card (such as through Amazon). Very common, and probably the most common type of mobile payment processing by volume. Mobile peer-to-peer: Also known as P2P. This is whenever you send money to friends or family on apps like PayPal or Venmo. Most people might not think of P2P transactions as a type of mobile credit card processing, but that’s essentially what they are. Mobile credit card swiping: Similar to ‘terminal’ credit card payments, which everyone is more familiar with—just conducted via a mobile credit card processing device (such as Square). In-store mobile payments: Also known as mPOS payments. This involves scanning a phone or smartwatch to pay using a mobile wallet rather than swiping a card. Not as common as mobile credit card swiping, as fewer merchants offer this option. 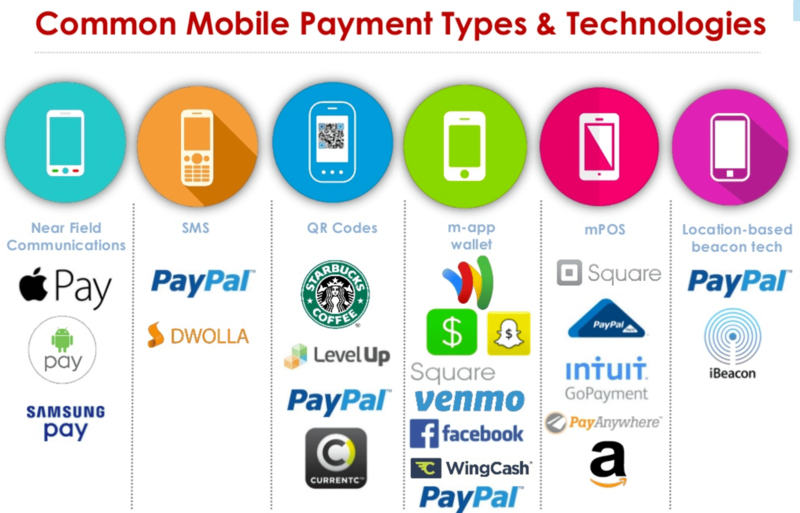 **As you can see, most apps exist for one particular type of payment: mobile app wallets. But mPOS is a close second and QR codes are still popular. 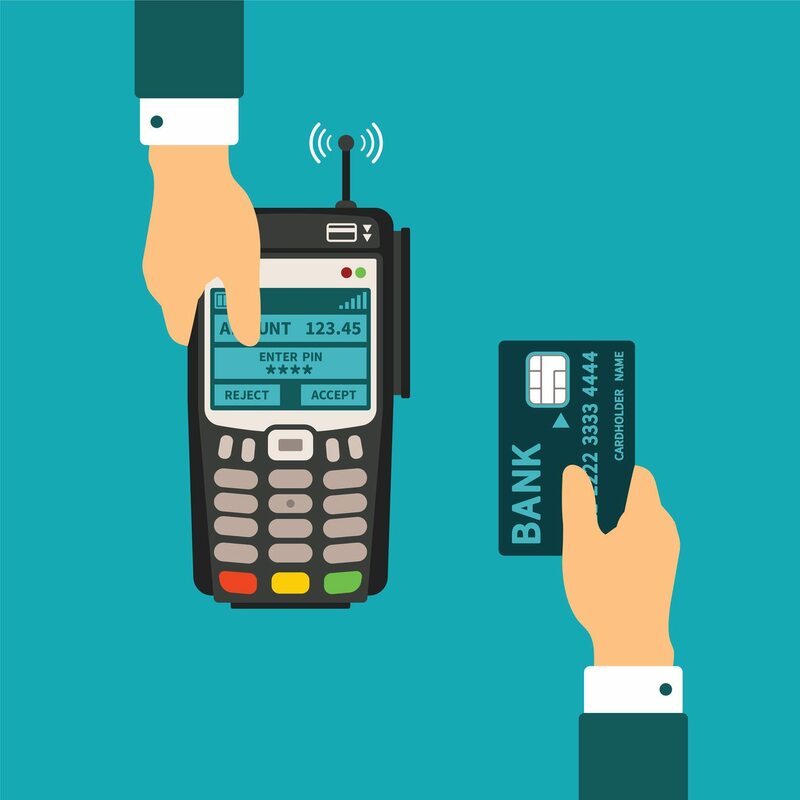 Depending on the part of the world you’re in, near-field communication is also a very popular mobile card payment method. There’s no need to get into the nitty-gritty of the different types of mobile payment methods, as that kind of categorization isn’t clear cut and new forms of mobile payment are springing into existence each year. The important takeaway is that mobile payments are extremely popular—especially in Asia—and are certainly here to stay. With the incredible popularity of AliPay, PayPal, and Apple Pay, among others, the United Nations predicts that mobile payments will overtake credit card payments as the preferred way to pay online in 2019. This is a bit misleading because mobile payments are more a method of payment rather than a source of payment (ultimately funding still comes from a credit card or a bank account directly). It would probably be more accurate to say that various mobile payment methods, which still rely heavily on credit card processing, are becoming the most popular form of online payment. Either way, business owners who do not accept mobile credit card processing do so at their own peril. What about iPhone credit card processing? For any merchant thinking about accepting mobile credit card payments, iPhones are an obvious consideration. What about Android credit card processing? 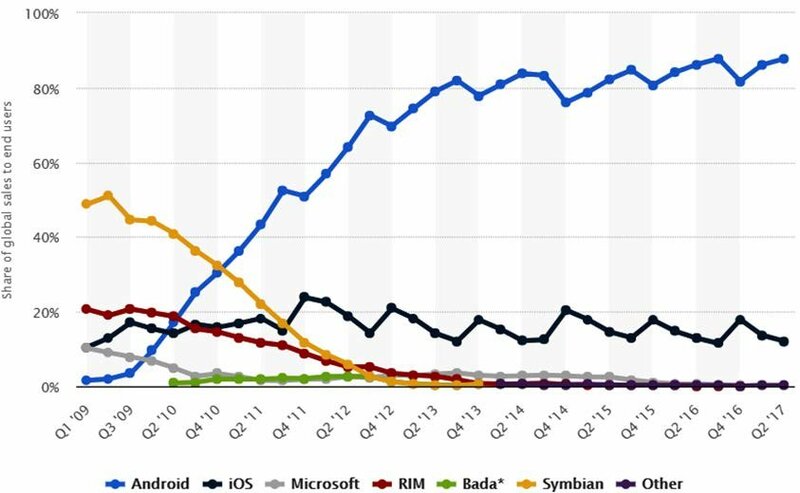 In the U.S., Android’s accounted for 61% of all mobile OS’s in the third quarter of 2018, according to the same report by Kantar that detailed iOS’s rankings. 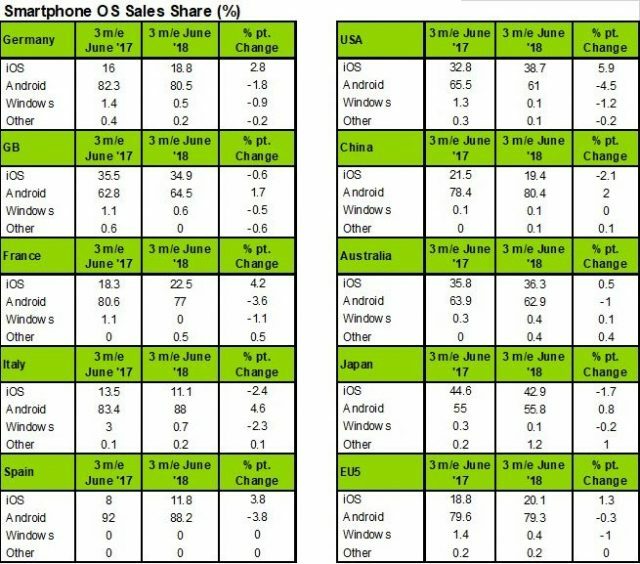 There is no sign of any letdown when it comes to Android’s undisputed reign as the heavyweight champ of the mobile OS arena—if anything, the market share of all of Android’s competitors continues to fluctuate or simply decrease on a yearly basis. Typically, simple credit card readers for Android (swipe only) are free of charge, while readers that accept all cards can cost anywhere from $29 to $60. Okay, but what is my best option? 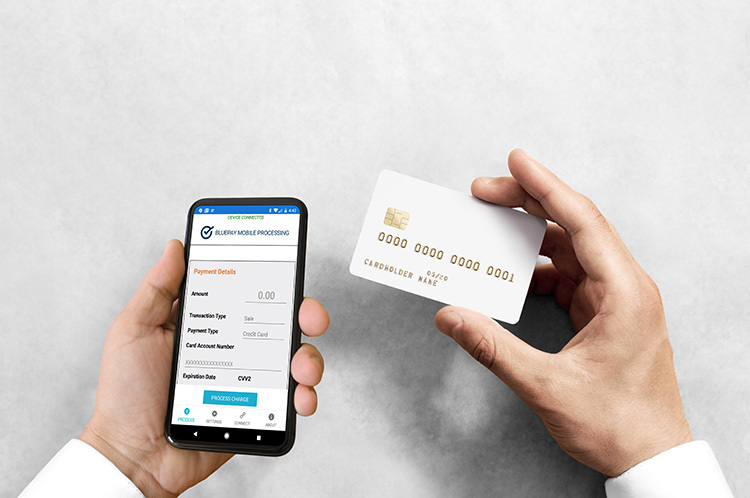 Regardless of whether you want to implement iPhone credit card processing, Android credit card processing, or all phone credit card processing, there is some consensus on the overall best mobile credit card processing solutions for 2019. †Note that these are subjective rankings, and your own experiences may vary. It’s safe to say that mobile credit card payments are here to stay. Not only do they make life easier and purchases more convenient for consumers (and let’s never forget that convenience is king), they also lead to more sales for merchants. It’s a win-win situation. The only downside to mobile credit card processing? You can’t work your way around it. There’s no way to bypass the sizable cut—up to 3.5% per transaction—that mobile credit card processing takes out of your hard-earned profits. 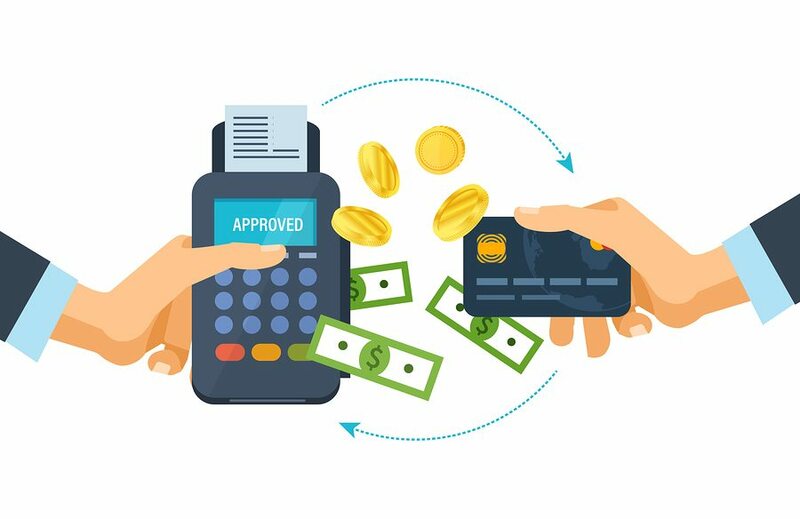 Fortunately, for the vast majority of brick-and-mortar small businesses still accept most of their payments via in-person or terminal credit card processing, there is a better way to accept credit card payments. With a cash discount program, you can bypass nearly all of your credit card processing fees while still accepting credit card payments from your customers in a store.